This is a list of Graphic User Interfaces. This is a list of static libraries. This is a list of iCub basic tools. 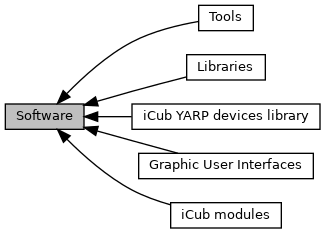 A container for all software in icub-main/src. For clarity this is further divided in groups.